Zionist Union MK Herzog says Israelis ready for peace, suggests offering Saudi Arabia central role in deciding Temple Mount's future. 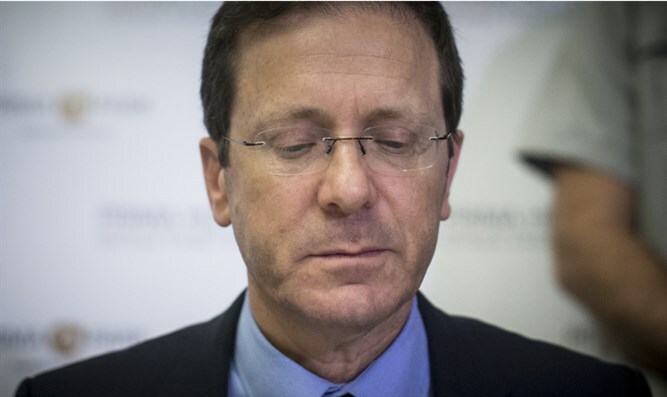 Opposition leader Yitzhak Herzog (Zionist Union) spoke to the Saudi Elaph news outlet, claiming his party will bring down Israeli Prime Minister Binyamin Netanyahu's party and work to create a Palestinian state. "The Israeli people are ready for peace, and there is a basis for reaching a historic agreement," Herzog said. Herzog also suggested giving Saudi Arabia special status with regards to the holy places in Jerusalem. "We need to implement an interim solution for the next ten years, and then talk about Jerusalem," he said. "Here, Saudi Arabia has a big job. When we start talking about Jerusalem and holy places such as Al-Aqsa mosque, I think Saudi Arabia has an important job and responsibility...we need to give them a central role in this issue." According to Maariv, Herzog called on Palestinian Authority Chairman Mahmoud Abbas to address the Knesset. "I am sure that Labor leader Avi Gabbay will be able to lead Israel to peace. We will bring down the right-wing government and work towards a two-state solution with the Palestinians," Herzog concluded.